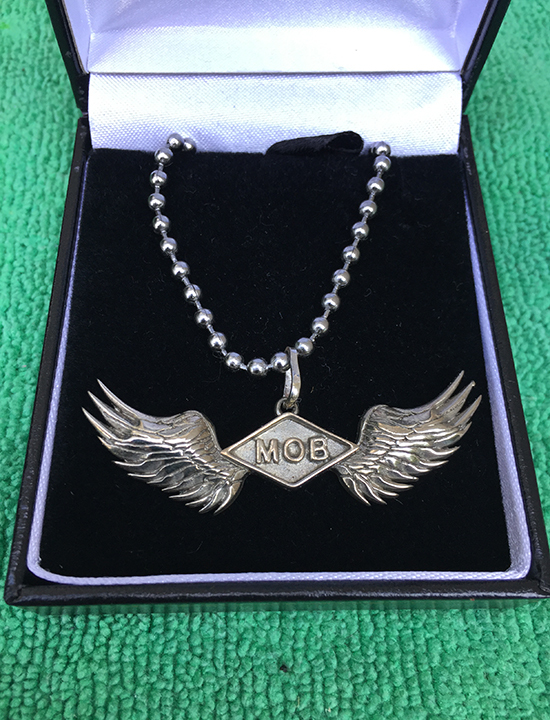 Custom made M.O.B. pendant with chain. Made to order by Tucker's Custom Jewelers, North Brunswick, NJ.